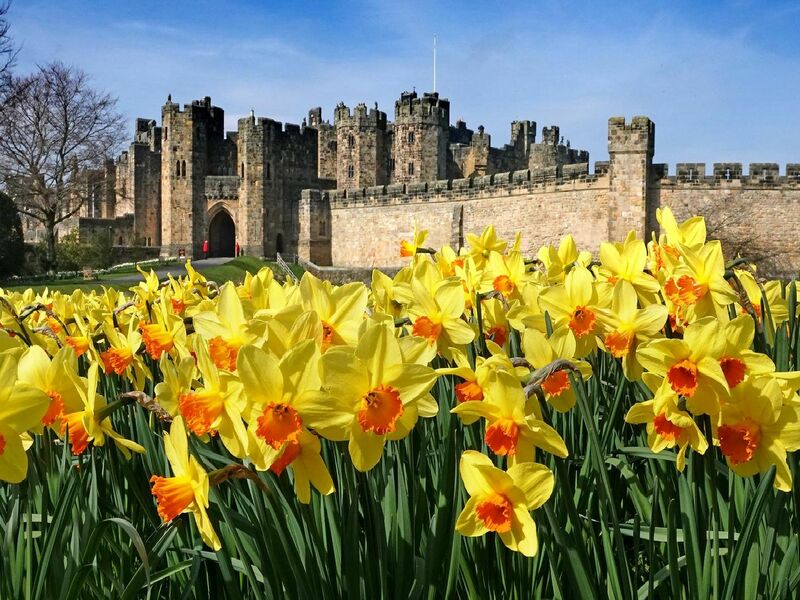 A host of golden daffodils are blooming in Bowburn Park beside Alnwick Castle right now - 250,000 of them to be more precise. Our photographer Jane popped along with her camera to look at the wonderful range of daffodils and other narcissi that are blooming right now. A floral delight at Alnwick Castle - photographs by Jane Coltman. Visitors Anna and Emily admire the blooms.